Using functional MRI we are able to localize and quantitatively measure physiological changes in the brain that are related to nervous activity. Traditionally, the acquired MRI data undergoes complex signal processing and analyses after acquisition. The resulting statistical maps can be used for example for neurological applications, such as individual pre-surgical planning, and neuroscientific research, where single-subject results can be combined for group studies. Latest developments in MRI technology, signal processing, and computer hardware enable us to perform these analyses in real-time during acquisition. These online results can then be used to provide the person inside the scanner with feedback about their current neural activations or connectivity between certain brain regions. Numerous studies have shown that people can make use of this feedback signal to learn to control their own brain regions and, thus, influence their mental states. This method has great potentials for therapeutic applications in patients who might have problems with cognitive control, e.g., in anxiety disorders, major depression, and addiction. Real-time neurofeedback provides them with an additional source of information about their regulation success. As this information is based on empirical data, it can supplement introspection processes, which are purely subjective and potentially even biased in psychopathological conditions. My objective is to apply, investigate, and improve existing real-time fMRI neurofeedback methods to improve their robustness and make them easier applicable for therapeutic applications. The goal is to establish this method as an addition to traditional psychotherapeutic and pharmacologic interventions. Closed-loop brain training: the science of neurofeedback. 2017 Nature Reviews Neuroscience paper co-authored by my supervisor, Frank Scharnowski. Video: A look inside the brain in real time. TED talk by Christopher deCharms. Dynamic causal modeling (DCM) is a hypothesis-driven analysis approach based on Bayesian model comparison procedures. DCM can be seen as an extension or generalization of fMRI analysis based on the general linear model. The application of DCM allows for creation of neural models to assess the dynamic behavior of specific brain regions in correspondence with their causal relationships under the influence of external perturbations, such as the applied experimental conditions. 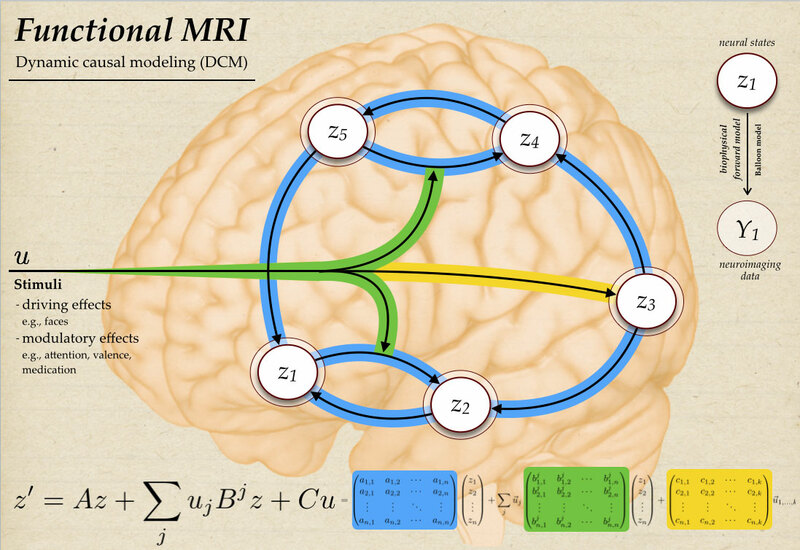 In this framework, the brain is treated as a deterministic nonlinear dynamic system, expressed by differential equations to estimate parameters for effective connectivity. 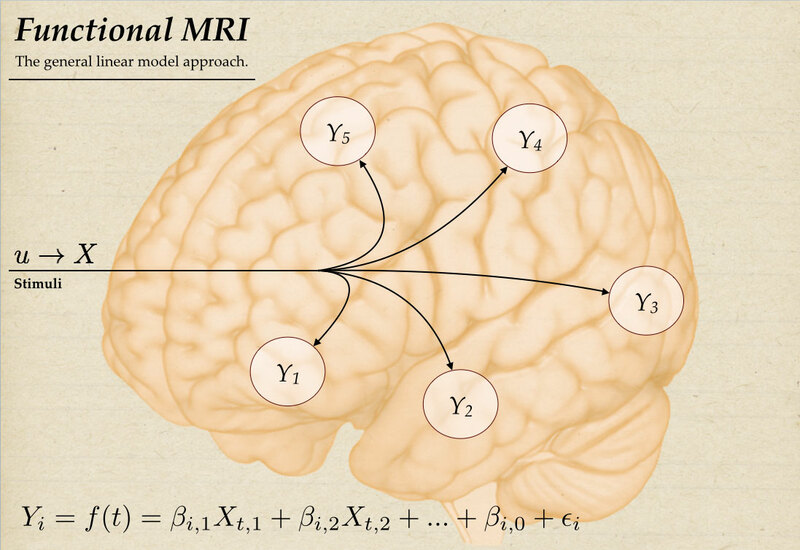 Using a biophysical forward model, the marginal likelihood (i.e., model evidence) of the neuronal model is estimated with respect to the empirically observed changes in BOLD signal.